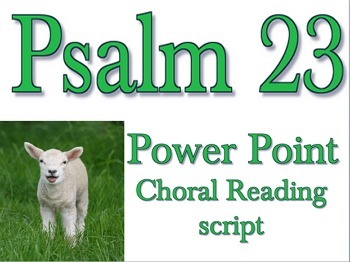 Psalms 23 Power Point is accompanied by memorable pictures. 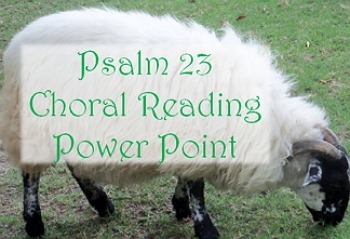 The .PDF script text is broken into chunks for choral reading. 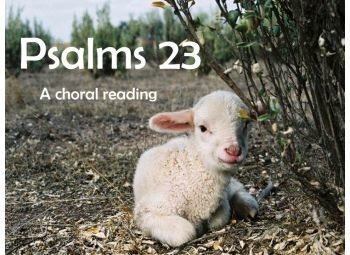 Choral reading provides an excellent reason to read and reread, improve fluency, comprehension and memorize scripture.